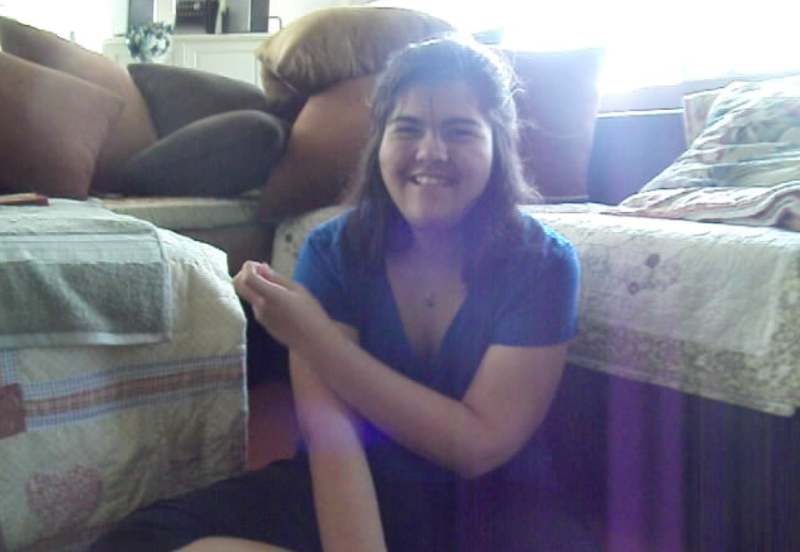 I would Like to introduce you to this woman who has started making vids on Vimeo. Seriously. Could these kids be any cuter? And it's even more important to teach girls early because they need every advantage. Our culture puts females at a disadvantage when it comes to math starting very early on. Here is her channel, Education Unboxed. 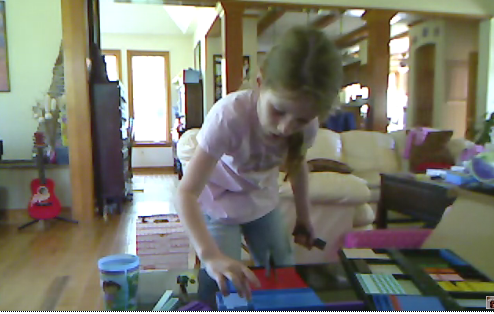 She has opted to use Cuisenaire Rods, I am hugely biased toward Mortensen Math base 10 Blocks/Manipulatives but she is correct that they are pricey and many parents already have Cuisenaire Rods because they are cheaper. (They are cheaper for a reason IMO.) With just a little work, a few "mods" as geeks and nerds like to say, they can be quite serviceable for teaching math beyond just addition and place value. Her point is to make vids that parents/teacers/homeschoolers can use to put the materials they may already have to better use. I highly recommend her channel and vids and hope she one day makes a blog and website too. If you can't afford Mortensen math materials, perhaps you can afford a set of the Cuisenaire Rods...and you can get started teaching your kids math and learning math right along side them...with all the FREE suport you get from The House Of Math and this blog and now her vids too you can't afford not to get started and have very few excuses left. She says she is "just a mom" who wants the best for her kids and wants to help others help their kids too. Even more I want to promote her because so many make excuses that they can't do it because they aren't good at math or don't have a degree or what have you...to which I reply: "just get started." You won't fail and you won't hurt or damage your kids. Errors can be corrected if you make them and can be turned into teachable moments. My comments and critiques are for her improvement NOT to put her down or denigrate what she is doing. Her point and so is mine that if she (we) can do it SO CAN YOU. OMG: your kids are so cute it brings tears to my eyes. Just telling them it's x when they can see it is 10 is usually not sufficient. Solve that problem with a strip of paper. I realize you are improvising with the tools you have and you are doing a FINE JOB. There is a Montessori concept called "visually obvious." It is visually obvious that that one side is ten...it must be visually obvious that that side and all sides is/are x. A few side notes. At one point the younger child made and x to the second not an x square, which is good: it was one by nine...you could point that out in a later lesson. x² doesn't always have to be square! Especially if you are doing third power algebra...x³ dosen't have t be a cube either...in fact it will make higher power algebra impossible to present if you try and stay in three dimensions. You may casually mention this if she does it again...that way it's a natural discovery and not a "lesson". Also they are never wrong. They are just getting more information. (You know this I am just reiterating for those reading.) You are a patent and gentle teacher. You may want to direct them a little more and let them figure out some of their mistakes on their own instead of just showing them so they can have their own ah-ha moment. You accomplish this by asking good questions using control of error and putting them in a situation where they can not fail...each one of those is a full dissertation and they are covered lightly on my concepts page. Does yours look like mine? How could you make your square look like my square? Show me. How are they same, how are they different, what's the name of this. Etc. You can also avoid and control error with use of the three period lesson. I would like your permission to your vids on my website or blog once in a while where they will get more exposure and hopefully encourage others to get started teaching their own kids math. I would also like your permission to put links in these comments because I have covered a lot of this in detail in other places. Third please contact me via email...info is at my website. Just click the contact tab. I am a master trainer. I was certified by Jerry to train trainers to train other trainers...not just train teachers to teach kids. The difference is understanding the why of things. You could be a mighty teacher if you wanted to be. You never know where teaching ends...somebody could see your vid and be inspired to do more...a kid could stumble across it and have an epiphany...you're making a positive difference. One more time: FINE JOB. Yes, I absolutely do need to cover the sides with paper. I'll be doing that soon! I THINK I understand what you are saying about "x squared" (not sure how to get the little 2 up there!) not having to be a square. Though I just learned last year that "squared" actually means a square! So, now you're saying that it doesn't HAVE TO BE in a square shape, right? Just that 9 is a square number because it COULD be made into a square? And when it's not in a square shape, then we call it "x to the second?" Yes, please feel free to post my videos anywhere you'd like. The only reason I made them was to help other people (so they wouldn't have to do the hours and hours of research and reading I've done over the years). And, yes, links in the comments are fine. I will contact you through your website. Thanks!!! Many comments to make. This is great. We read left to right...the girls need to be (gently) corrected to put the units in the upper right. It doesn't really matter ( 3 + x )( 4 + x ) = ( x + 3 )( x + 4 ) however ( x + 3 )( x + 4 ) is more correct because we count in descending order. (Count the big ones first.) Also (minor details) move toward putting the parenthesis closer together. Again they aren't wrong they are acquiring more information...and you are simply moving them to more correct notation and mathematical syntax. 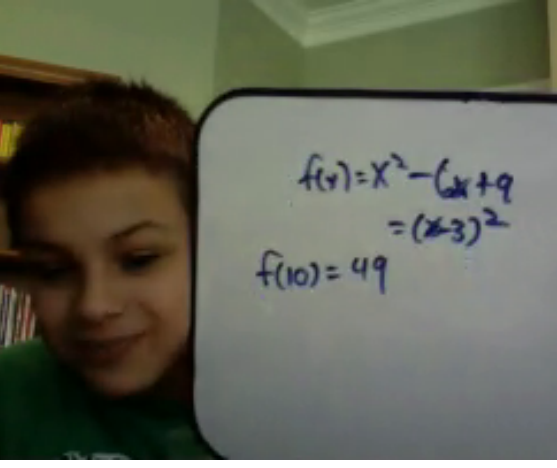 Here are a few Screenshots and vids from some of the Online Math Tutoring I do. 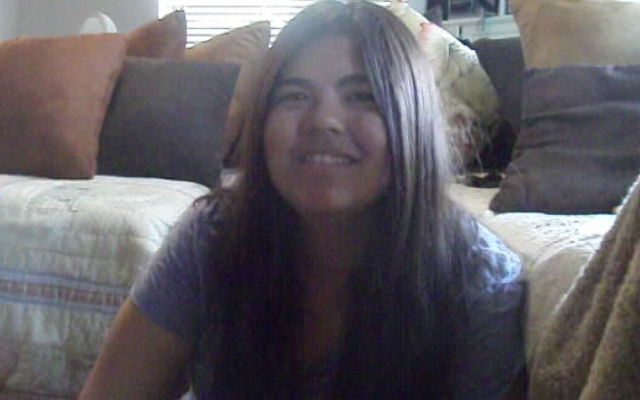 I have found that online math tutoring is fun and the parents have found it is effective. All you need is a set of blocks. This is one of my favorite students. She is a handful but she she is a free spirit, undisciplined and I dare say a bit naughty at times. But she has a creative mind that needs to be nurtured and rewarded, cultivated not punished for thinking differently and finding the structure of math a little boring. My job is to make computation easy and fun so that later she can "do math" which she will find is far more than computation. Computation is how we do math, but math involves problem solving logic and reasoning. 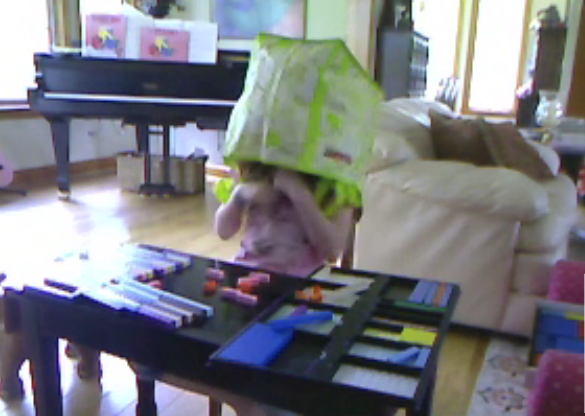 She is having fun learning addends...I had one parent ask me, "why not just cover the blocks why do you have to put a bag on their head?" Building a tower is fun whether you are a boy or a girl. Here we are building the addends for 9 thru 6. This child is eight. A pox on teachers who think math time can't be play time. She often goes through and tells me all the combinations she has made, although she doesn't have to. Her subconscious also develops a memory for the addends and this makes recall instantaneous. She doen't have to think or compute...6+3 is the same as 9. We've built it many times. 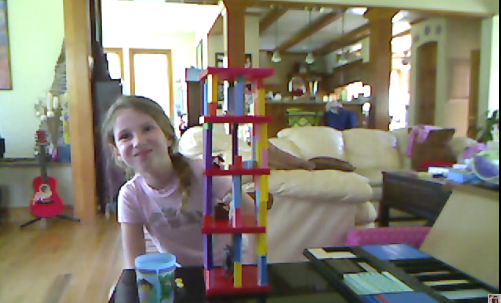 I should have taken pictures of the many times the tower fell over and needed rebuilding...which is also fun. 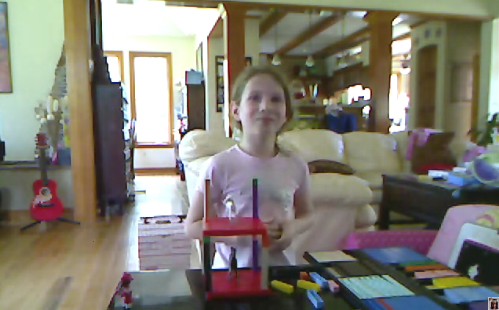 Online Math Video Tutoring is pretty cool. We are as far apart as we can be almost...from Hawaii to the east coast. With the net distance doesn't matter. After you get them built try playing Jenga with them...take out a block or two without knocking it down. Why? Because it's FUN. I believe this photo captures a thing called pride. "I did this." Good for self esteem. Good for making math fun and giving a positive association with math instead of a negative one. I find algebra much more useful for teaching math, building towers is fun but so is making these rectangles factoring quadratics not a problem...here she is completing the square and factoring x² + 10x + 25...she gets multiplication, addends, division and algebra all in one lesson. With the towers you get addition and subtraction of addends and fine motor skills but that's about it. Algebra is a much more powerful and effective way to teach more math all at once. It still amazes me traditional teaching separates the inverse functions of addition and subtraction and multiplication and division. You can see the relationships when you play with the blocks. 6+3 = 3+6 and 9 is made up of a 6 and a 3 in this case so if you make a 9 with a 6 you need three and they see that 9 - 6 is 3 and 9 - 3 is 6...all in one shot where on paper it would take a but to list all those facts. Manipulatives make some operations MUCH faster and easier but eventually you will see paper and pencil really is the much faster way to do math. With Online Math Video Tutoring I can teach anywhere on earth, the concept should still boggle the mind. ANY subject can be taught this way including eye surgery as it turns out but, "dammit Jim I'm a mathematician not a doctor..."
Even when google's vid feed is messed up you can still do a lesson...and algebra is easy even being green. You may also note that I'm pretty generous with what constitutes "one hour" if we are having fun and they don't notice one hour can be 105 minutes...lol...sometimes it's a little less sometimes it more sometimes it really 60 minutes. I stress again with your kids math time shouldn't be rigid but more flexible and the lines between math time and play time should blur and merge. Here is another testimonial. 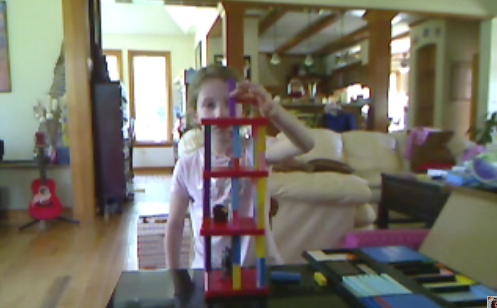 Sarah has hit a goal and removed a block to her progress. She passed her Compass Test. This is kind of a big deal. Keep in mind when I met her she had no high school math credits. I have also had to deal with schools and teachers that once they applied the Autism label limited what the students were allowed to do "for their own good"...in Sarah's case it was math. I will say her mother deserves quite a bit of credit for standing up for her daughter and getting her into some math classes. She wants her daughter to be self sufficient. "I'm not always going to be around." I can not take full credit for her progress because she has teachers and aides that now work with her too. I will say that when I first met her we started at square one...addends, adding numbers and multiplication. There are still some holes I intend to go back and refill like fractions, ratios, money and problem solving. I thought that once she passed this test which was the goal for which I was hired that we would be done but Sarah called me herself and asked me if I would do more tutoring with her even though she had passed the test. I have to admit that when her mom explained her goals I was among the ones with reservations, some of the school administrators flat out laughed at her, I didn't go that far, I figured "we'll see." But I was not as optimistic as I should have been. I thought I was just being realistic. I have also been taught another valuable lesson. Sarah has risen to the occasion. I like working with her because it increases my teaching skills as I figure out how to get her to discover some concepts on her own and how to get her to understand some of the things they teach her in school where she can mimic the algorithm but doesn't really understand what she is doing. She is beginning to understand and "know" the math not just memorize long enough to take the test which I see too many students who are not autistic doing. I will take credit for this though because I know for a fact she would never have gotten it the traditional way...just like a lot of "normal" kids don't. I prefer enrichment students and students who are already good at math and want to learn more. I also don't care to get put in a niche where I only work with autistic students; however, I am happy to do video tutoring with students who need help. Scheduling might prove interesting depending on your time zone but I think you find my rate of $40.00 per student quite reasonable. It's not about the money, it's about the math. Sarah has her own page at the house of math. There are many vids there you can't find anywhere else. I put up quite a few lessons and will add more as well as a link to this post. I was wanting to to film more but sometimes this adds a dimension that is disturbing to the process. There is quite a bit there...it will take a few seconds for all the vids to load. The idea is you learn how to help your own kids not pay me...you can get a password for 5 bucks. I also have more video sitting on my hard drive that needs to get edited and added so check back and refresh the page there as I add more in the coming year. I was working on a book, Crewton Ramone's Completely Cool Curious Counters' Kindergarten Compendium which took quite a bit of my time, but I was sill tutoring and making vids, they just didn't get loaded up to youtube and are sitting on my hard drive. Get the book and read it to your young child autistic or not, repeatedly. New improved version I added an "r" to the title. You need more than one example but this is a quick 3 and a half minute lesson on how to find the inverse of a function. y = -4x² + 2 ? Due to my math experience I looked at the multiple choice answers and knew which one it had to be...however due to my carelessness when I tried to show him why I got the wrong answer because I left off a negative when I copied down the problem. We did the problem more than once and this vid shows the last time we did it. One: NEVER TRUST THE TEACHER. Two: You aren't wrong you are just getting more information. Too many parents (and some teachers) are afraid to work with their kids because they might get it wrong and be embarrassed or what have you. Just get to work and see if you can get the answers...sometimes it's good to get the answer first and then look at the problem. I have had more than one student say it's easy when you know the answer. That's true and then with the thought this is easy you can see how to solve the problem and you know where you are going. Another thing with some multiple choice tests: you can see answers that reflect common mistakes or misunderstandings of concepts that would lead you to pick the wrong answer. Talk about them. Talk about why they would put that answer as a choice on the test. This often helps deepen understanding. Then you get two thumbs up because they "get it." Here is a quick testimonial. Going from F to A...in an hour a week. Started in the 30's and worked our way up yo "C" the only way to do that is with a lot of "A's." This story is quite common at the house of math because once you understand the concepts all they can do is change the numbers. This student is studying algebra, specifically quadratics. Turns out it's not hard. I always enjoy working with students who show marked improvement. Gives me a good reputation for math tutoring. I have to stress the student has to put in the time and effort, all I do it point the way. No one can do your push ups for you as they say. Especially in math. I also enjoy the math enrichment students...the ones who come who already have good grades but just want to learn more or as the case may be they have an A but they are just going through the motions--they don't actually understand what the are doing. You'd be surprised how much this goes on. Lots of students sport an A but have no idea what they are doing or how it applies and memorize whatever it is just long enough to pass the test and then forget it again. Here are some more testimonials if you are interested. The point is this system works. Mortensen Math is effective. If you are a teacher it will make you a better teacher because you get better tools to get the job done. If you are a home schooler you can learn math right along side your kids, the question often comes up how do I teach algebra if I never "got" algebra. Well, now you can. Between my blog and website the excuses have been removed. Used to be people would by a kit and then not know what to do because they needed training and we didn't have enough on video. This caused me to do 3 years of traveling...while there is nothing like face time and personal training in groups with all the stuff I have for free on the net and all the stuff you can get for 5 bucks with a password the days of inaction and excuses about not knowing what to do or where to start are over. Get yourself a kit and get going...or dust off your old one and get crackin'. Here is a video of a young student playing math. For us this is a pretty formal lesson. I need to get some video of the boys just playing because as I look over the vids I have, they are not exactly representative of play time. Problem is play is fun and spontaneous and getting the camera out changes that. Observing a thing effects a thing. I enjoy this vid because you can see him throwing me some attitude. He wanted to play Legos not make a math a vid. He was also sick... Note the ease with which we breeze through lessons from subtraction to negative numbers. Then when we count all the way to 105 with 7's we get momentarily confused...but we keep counting...the point is we are playing math and we go through the basic operations of subtraction, integers and multiplication in one "lesson." This is the problem with traditional teaching of the mathematics to young children a lesson on math will be ONE lesson. 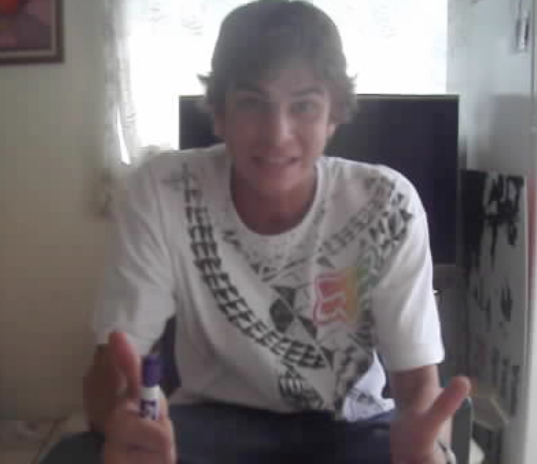 No flow. Just a compartmentalized lesson on subtraction with borrowing and counting backwards, no movement to integers not shifting gears into multiplication...can you see the "subtraction" that goes on in multiplication when were counting 7's? Seven takes the three out of the next seven and and we get fourteen...etc. It has been noted that youtube constantly takes down the vids for multiplication rock. So go to youtube directly and search the vids...or better yet go buy the vids off my page.